J6 was the very first Yan detachable quad and only the fourth detachable lift overall for the company. 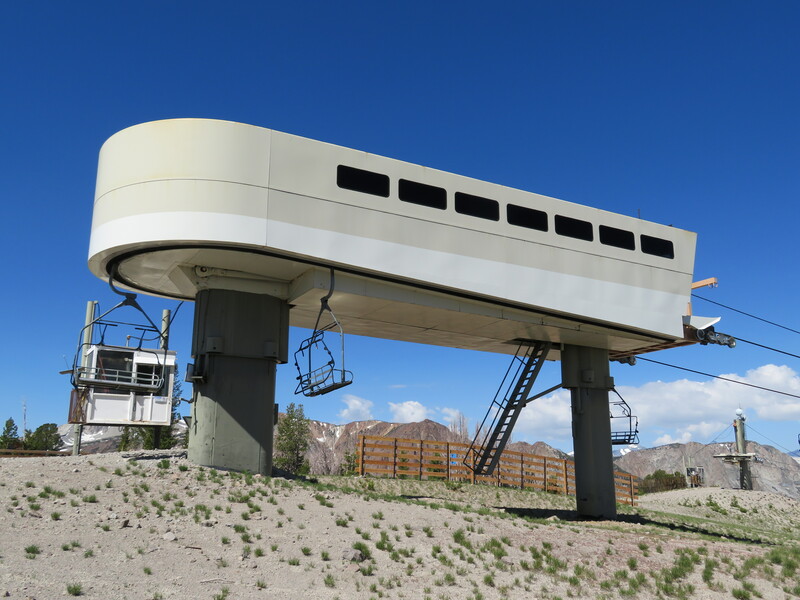 Another was built simultaneously at June in 1986 but was removed in 1996. 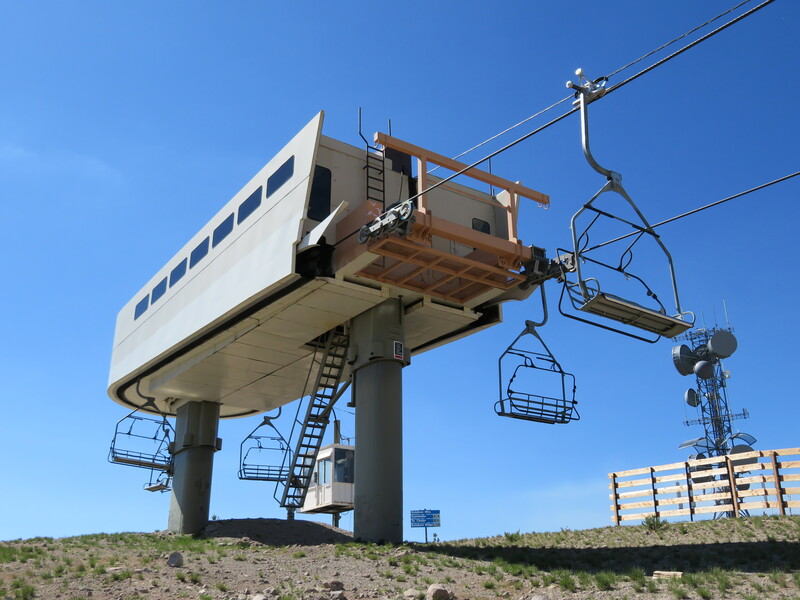 After problems with Yan grips at Whistler and elsewhere, Doppelmayr replaced all of the rope-touching equipment as well as chair hangers. 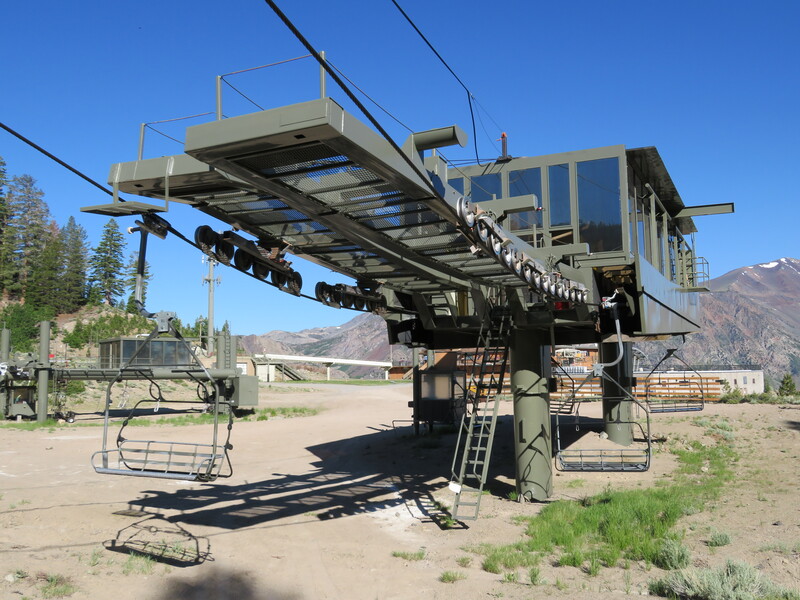 The bottom drive terminal with 12 feet of height adjustment and integrated sheaves. Side view of the bottom terminal. 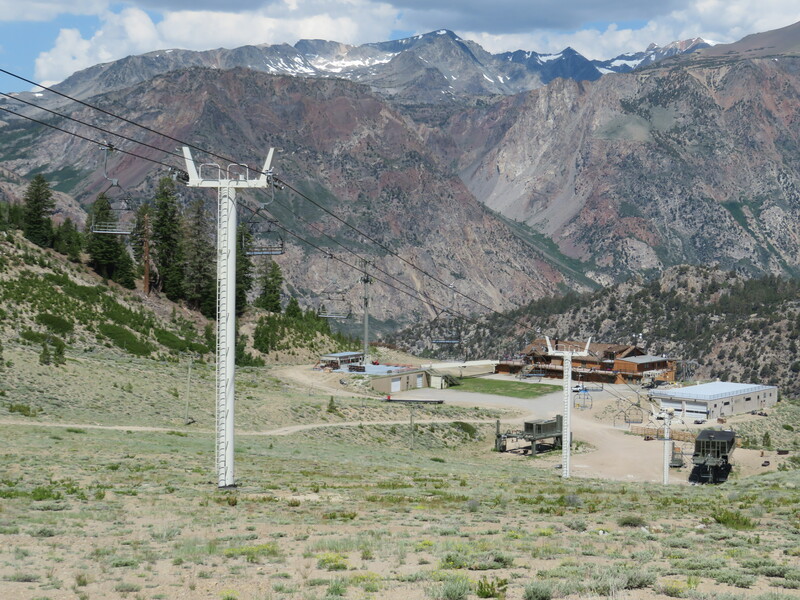 Mammoth added its own skin to the Doppelmayr equipment the year after it was installed. 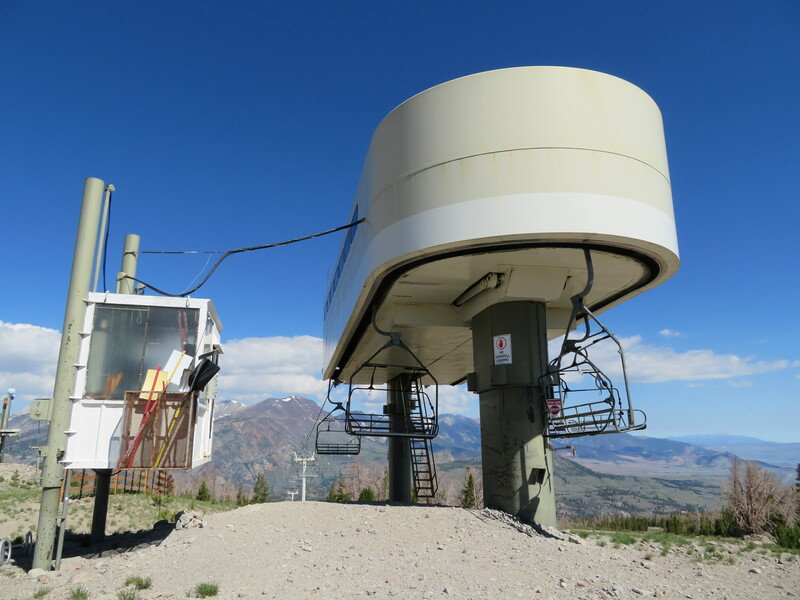 The top terminal also has a Mammoth fabricated enclosure, height adjustable legs and integrated sheave assemblies. Originally, this station had no roof at all. Initially, these entire catwalks were designed to move. 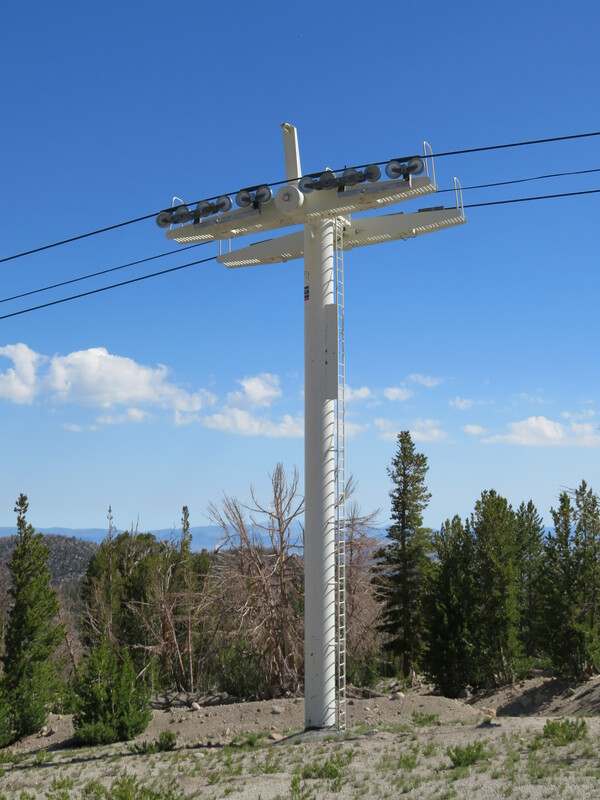 They may have been welded down when Doppelmayr added its sheave assemblies. Looking up at the return terminal. 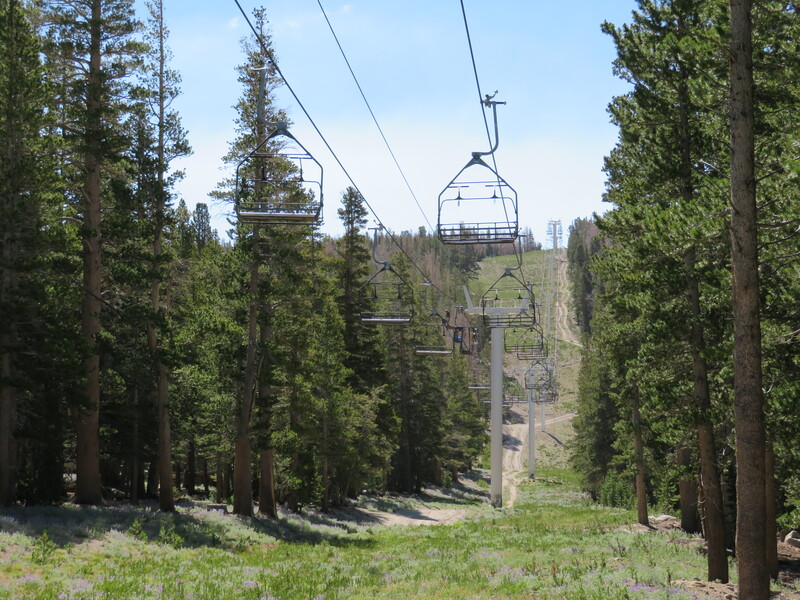 The lift line is over 8,500′ long. 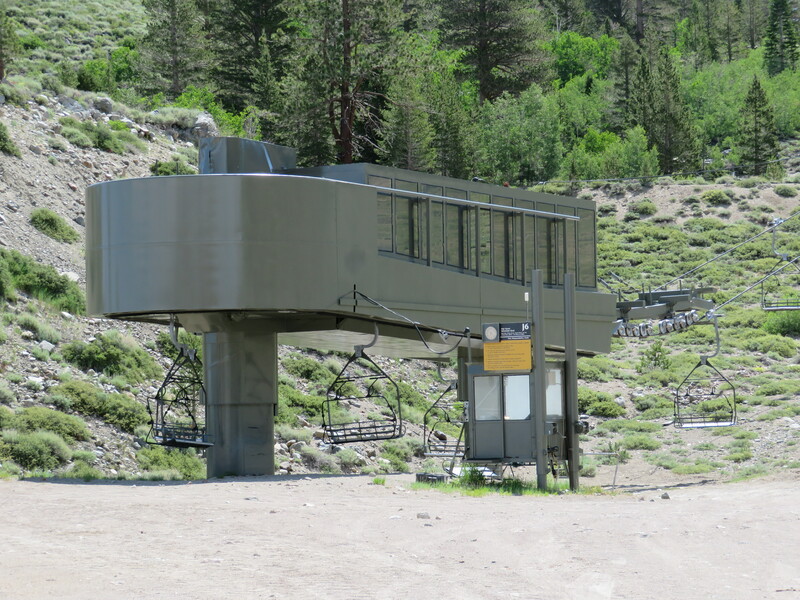 This lift really only services one repeat ski run but provides access to the upper mountain. 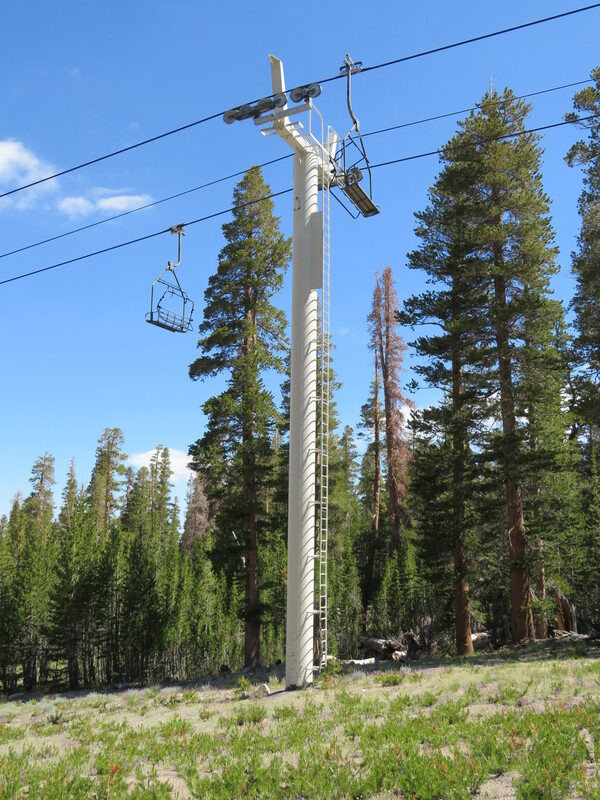 These towers are unique to this lift; the following year Lift Engineering switched to ‘Y’ shaped lifting frames. Like all Yan towers, these were set directly into concrete. 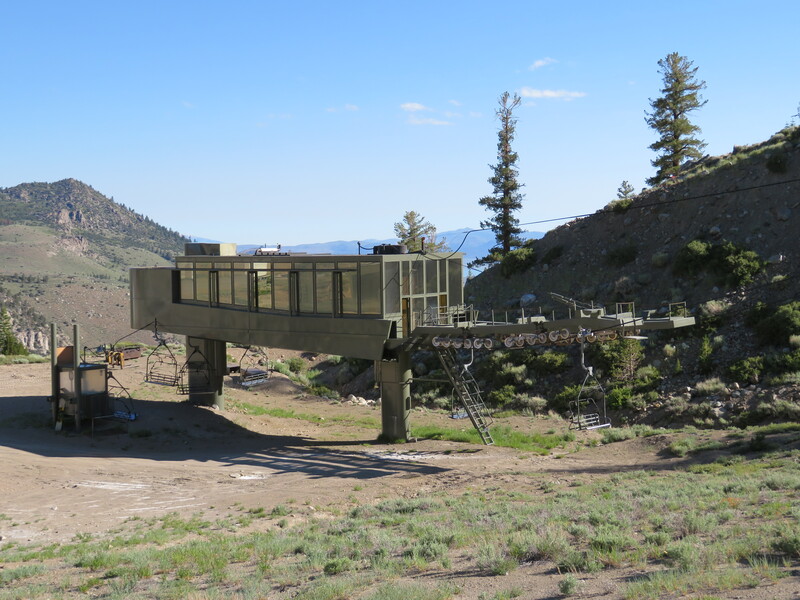 Loading area and small operator shack. Those lifting frames made appearances on a few later Yan lifts. 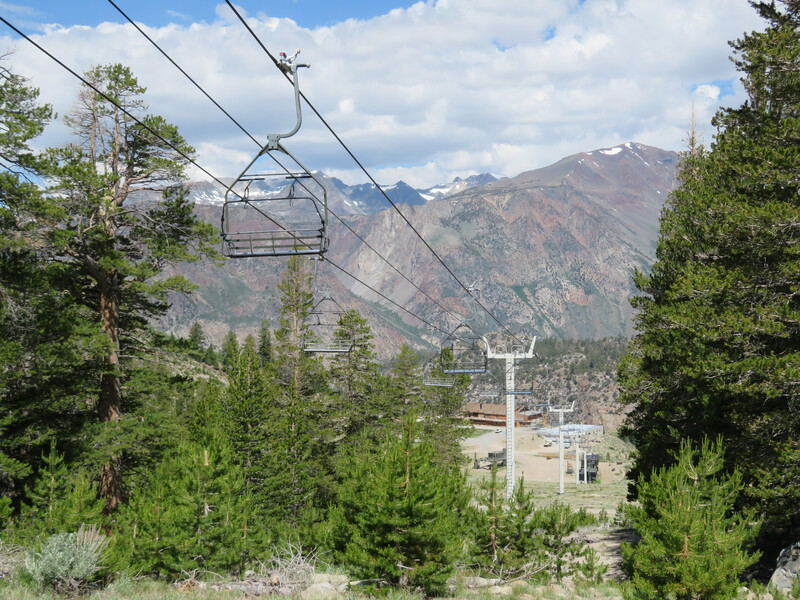 The Grand Summit Express at Mt. 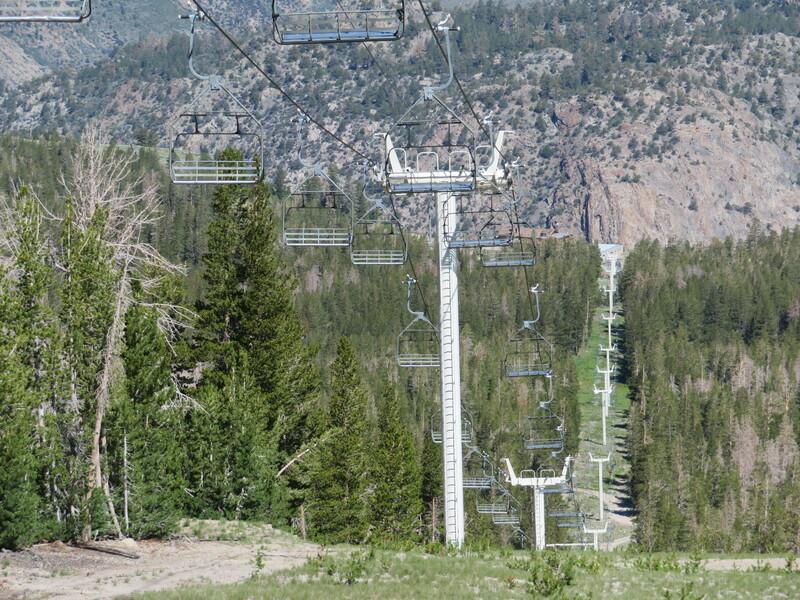 Snow (1987) has at least three towers with this style of lifting frame. The rest are the “Y” style featured on the other Yan detachables. 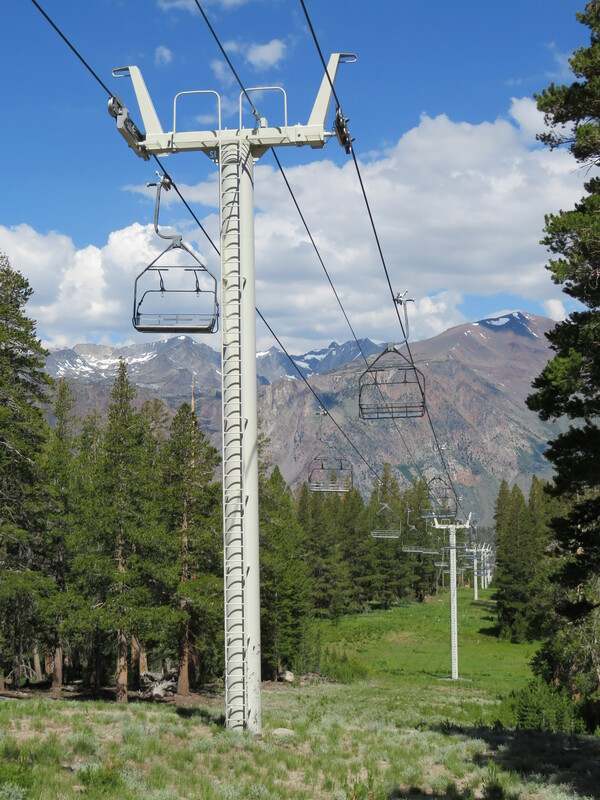 I believe they were also featured on Keystone’s original River Run Gondola, and possibly other installations that I’m forgetting (however that was installed before J6). 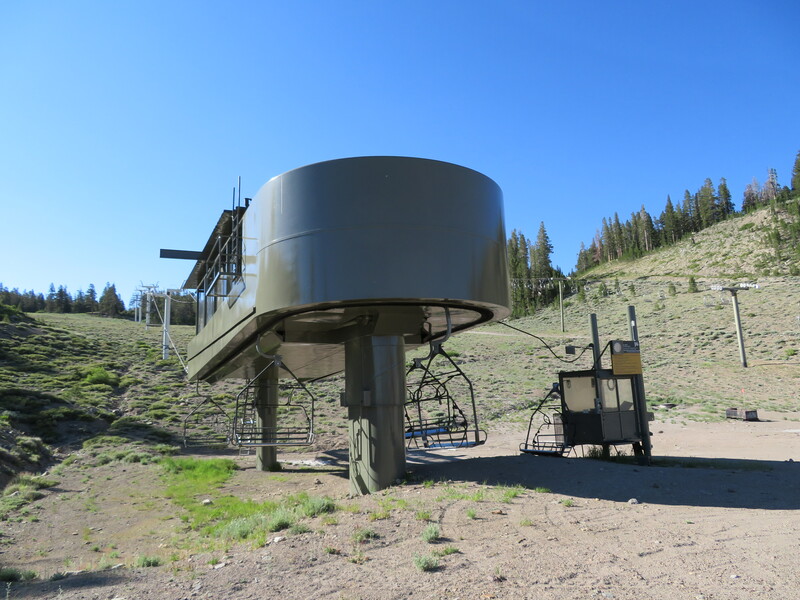 What detachable lifts did Yan build before this lift? Were these chairs unique? 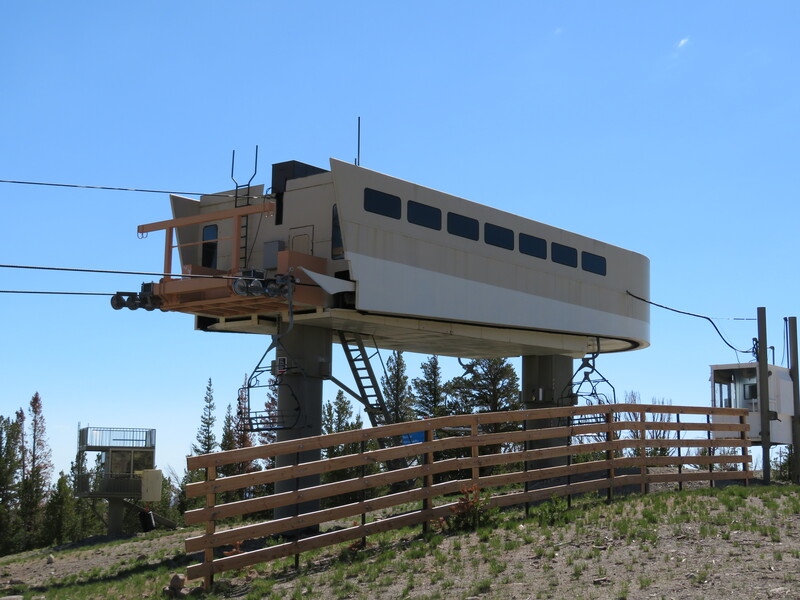 I believe Yan built a pair of gondolas before they started building detachable chairlifts (Keystone and Squaw Valley). 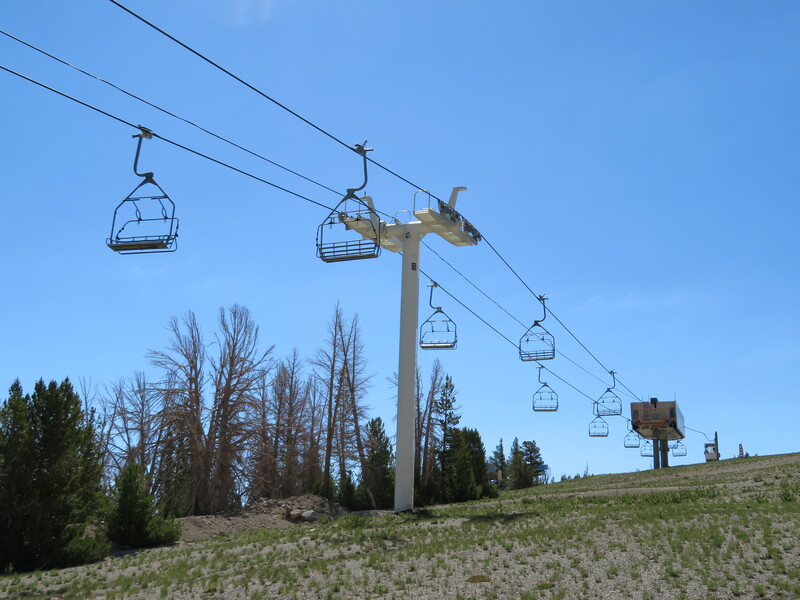 Both gondolas were quickly replaced. These chairs were also used on the 5 1987 Yan detachable in New England (Snowshed and Superstar at Killington, VT, Grand Summit at Mt. 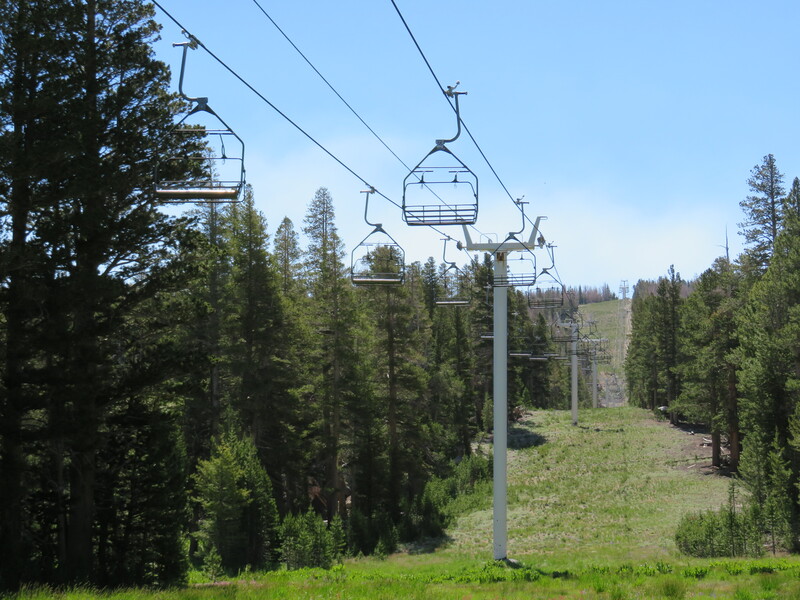 Snow, Golden at Pico, and Barker Mtn. at Sunday River). 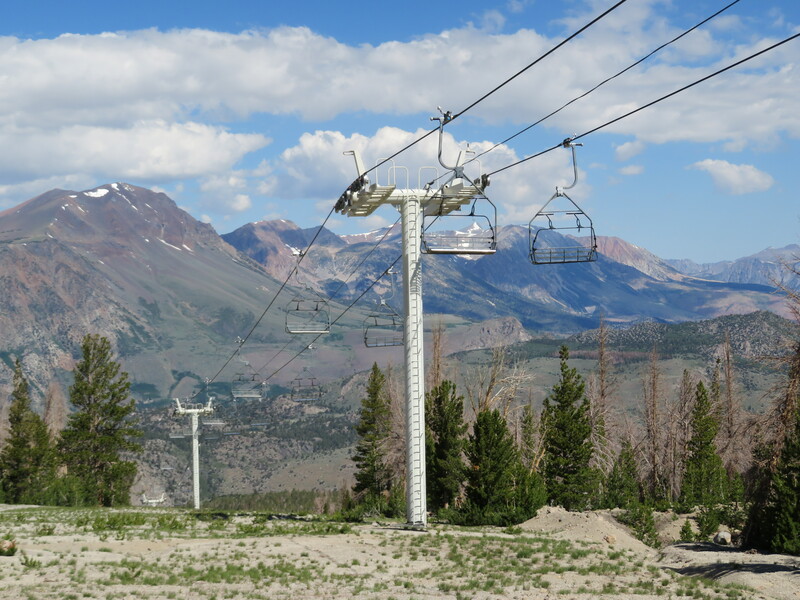 Golden and Snowshed still sport the original chairs. 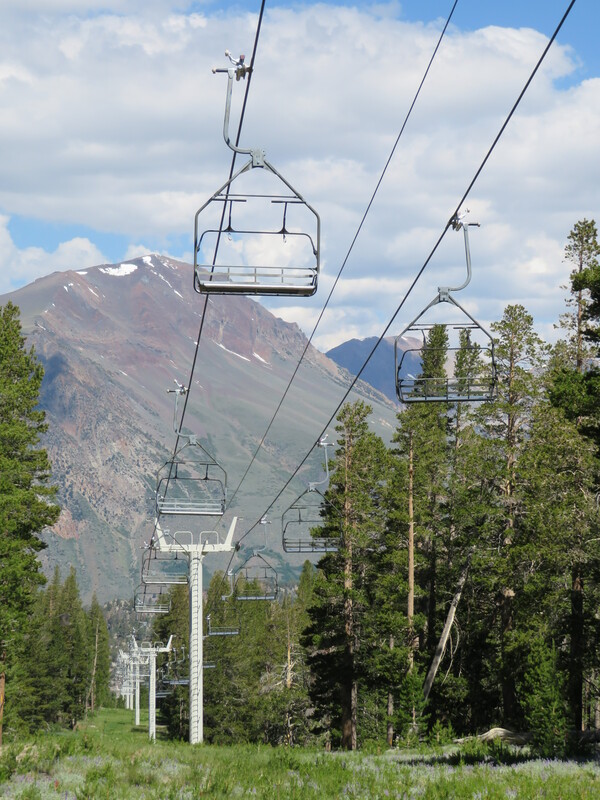 I’ve always called these the Yan “Pentagon” chairs (not to be confused with the fixed grip version of the pentagon carrier, seen on Sunday River’s Tempest, Moonstruck, White Heat, and Aurora Yan quads). 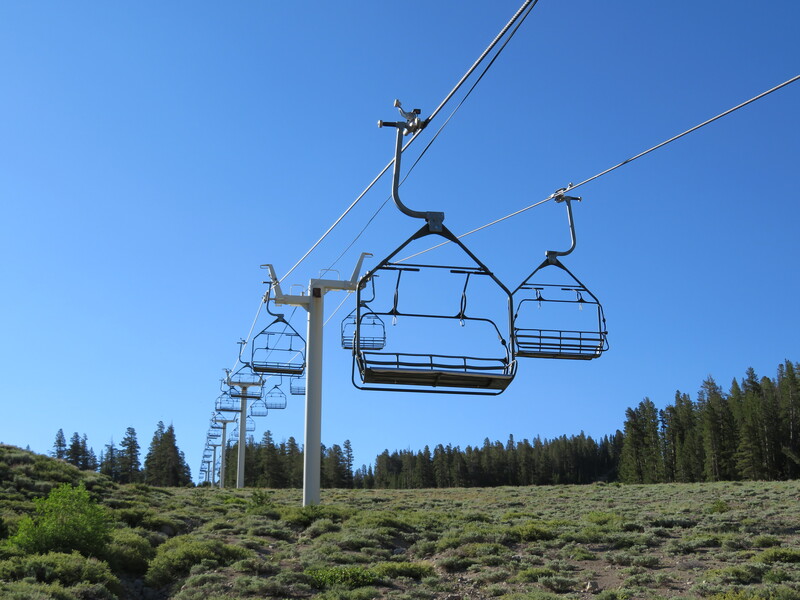 The detachable model Pentagon chairs (seen on J6) were replaced with the first Teardrop chairs starting with Pico’s Summit Express in 1988. Those were also quickly changed with the addition of a better (i.e. more comfortable) seat back, but the bail was the same.